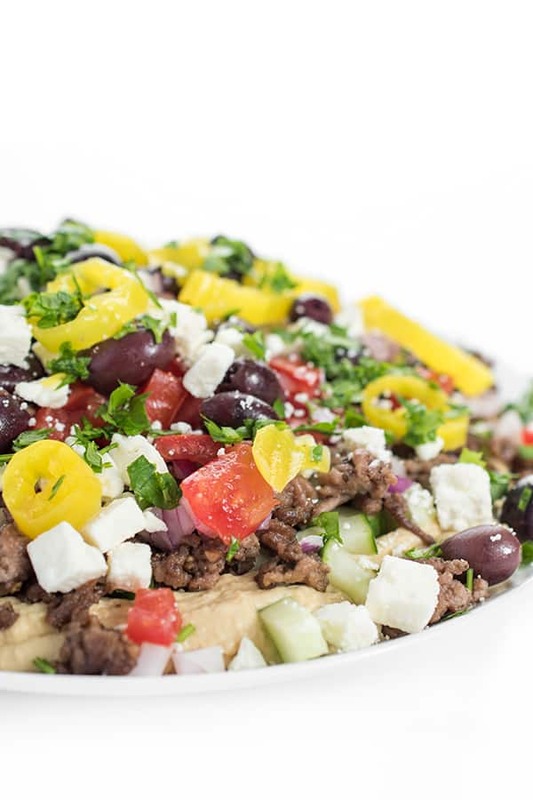 Hummus is layered with all your favorite Greek toppings including ground lamb, feta and olives. The perfect appetizer recipe for entertaining a crowd! 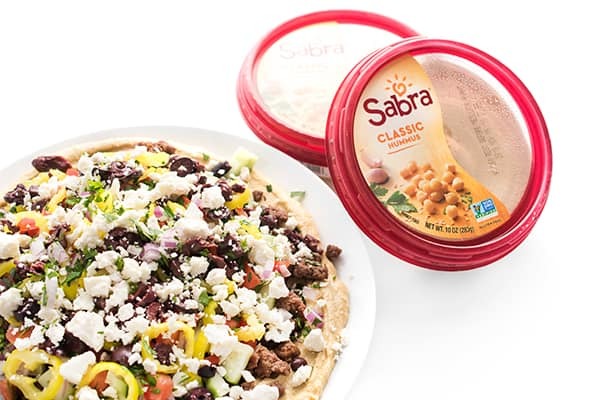 If there’s one thing you can count on me having in my refrigerator at all time’s it’s Sabra hummus. 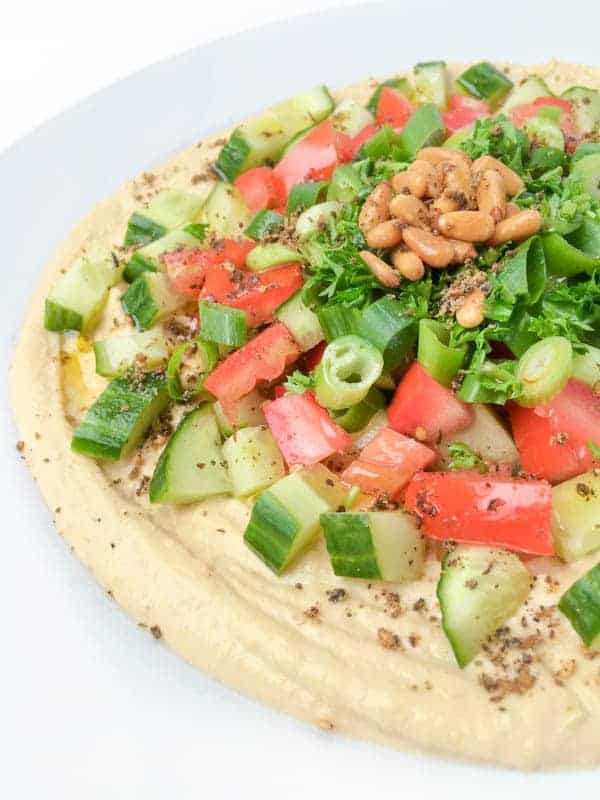 Whether I need a healthy after school snack for my boys or have to throw together a quick appetizer for girl’s night in, I know that if I have hummus on hand I am never far away from a delicious and satisfying snack, appetizer or main dish. 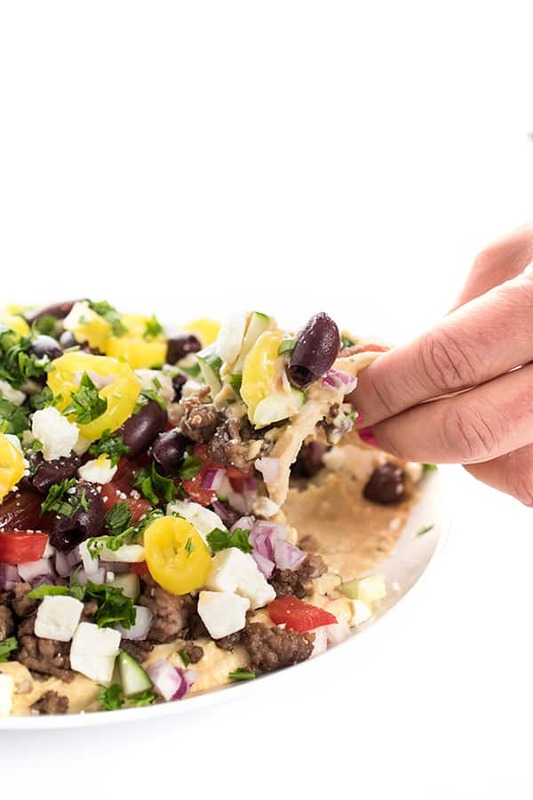 Most recently I decided to turn hummus into the base of a main dish by loading it up with loads of delicious Greek toppings. For added protein, I brown ground lamb with a little salt and pepper. This is a great time to get creative by adding your favorite spices such as oregano, cayenne or garlic powder. Next, I spread a platter with Sabra hummus then sprinkle the warm cooked lamb directly on top. Since the meat is warm it gently heats the hummus allowing all of the lemony, garlicky flavors to release. You know how a tomato tastes better at room temp? The same goes for hummus. After that, it’s time to pile on the toppings. Diced cucumbers, onions, tomatoes and any other crunchy veggies you love work well here. Afterwards, sprinkle with feta, kalamata olives and sliced banana peppers. 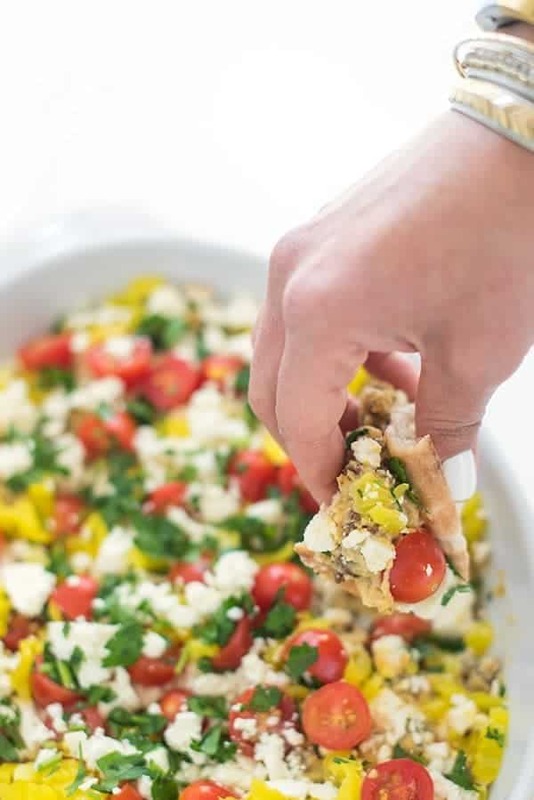 Serve with warm pita and dive in! It truly doesn’t get any easier, or any more delicious, than this. Heat a medium skillet over medium-high heat and spray with cooking spray. Cook ground lamb until browned, about 10 minutes, sprinkling with salt and pepper to taste. Place on a plate lined with paper towel to slightly drain. 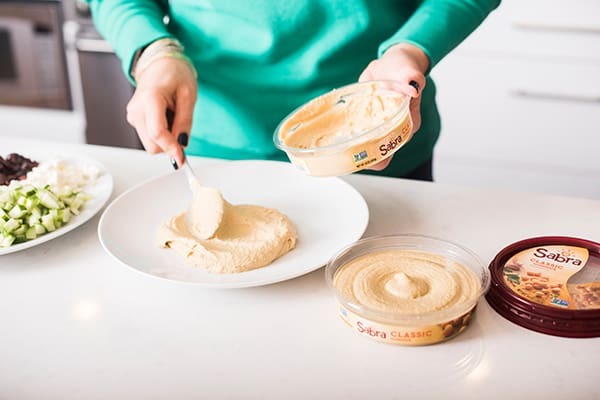 While lamb is cooking, spread hummus in a thin layer on a serving platter. 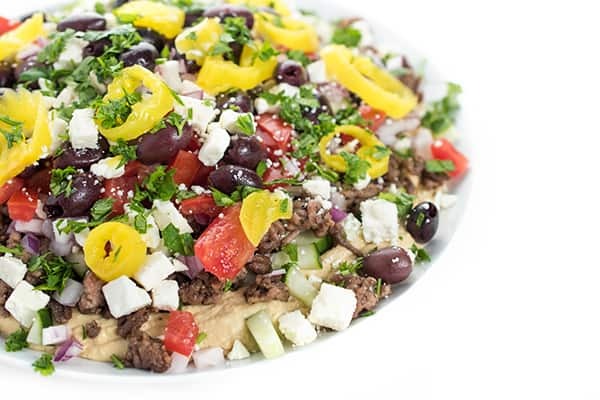 Remove lamb from paper towel lined plate and sprinkle on top of hummus. 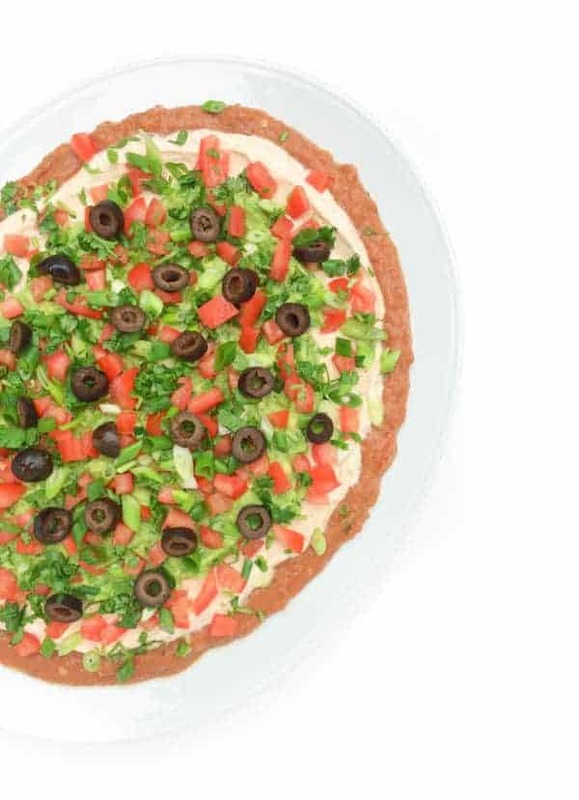 Top with all remaining toppings and serve with pita bread. 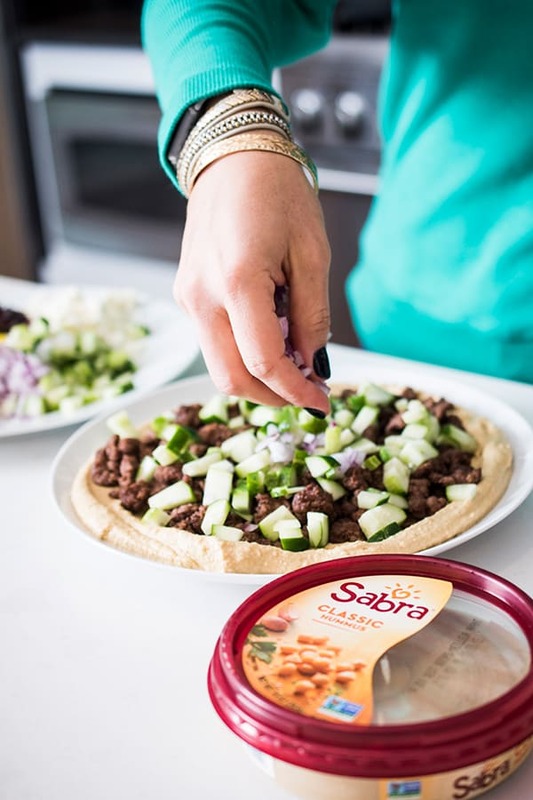 Disclosure: I am honored to be a Sabra Tastemaker. Thank you for supporting the brands that make The Lemon Bowl possible. All thoughts are my own. 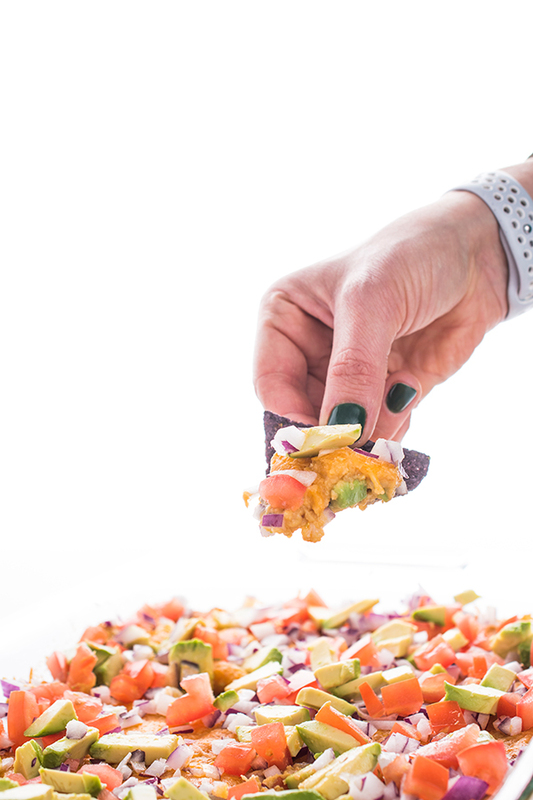 Looking for more fun and easy crowd pleasing appetizers? Head over to my Pinterest Board for more! Love all those delicious Greek layers! 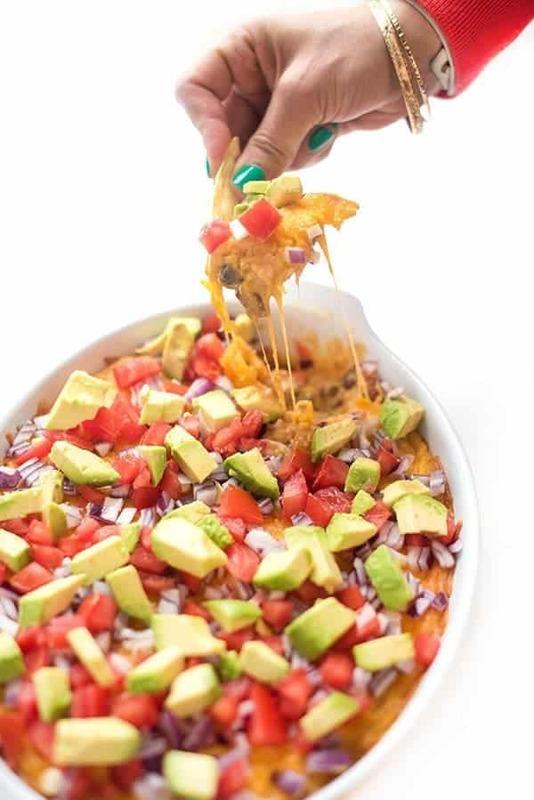 This is a great party appetizer! Oh yum! This is a party right here. 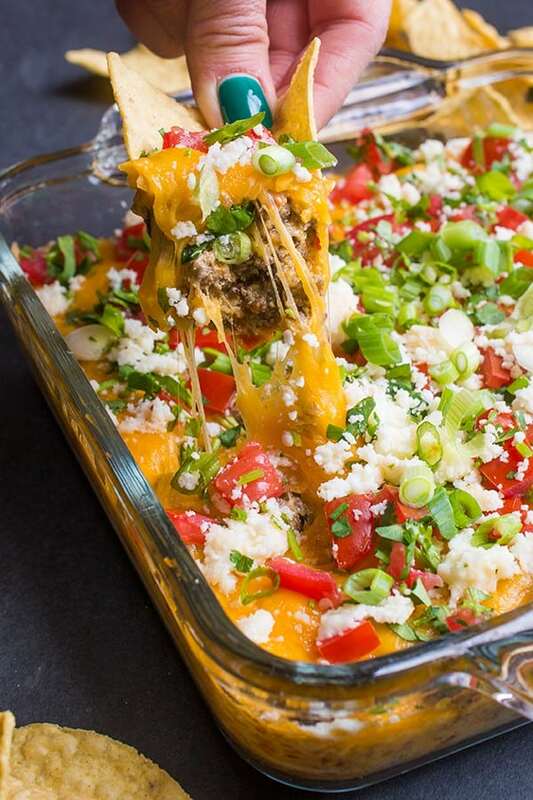 Love how you layered this up — I could make a meal of this and be content!